What started it off was a message to my sister-in-law, June. My brother Mike had been taking yoga classes and after he spoke to me about it for a while I started thinking this is something I should do. So I began doing yoga each morning and I absolutely love it. It's so nice to see how completely unbendable I am. But I'm getting better at it! And of course, while I'm trying to hold steady in a tree pose so it doesn't resemble a tree getting chopped down and more like a nice, steady, straight tree, I start thinking two things: First, "there must be an earthquake going which would explain all this shaking" and second: "how can I accessorize this?" I figure yoga mat bags would be brilliant. So I message June and ask her if my brother has one - I mean, he started me on my yoga journey so I should make him a yoga mat bag. Now, I'm thinking a normal, roll up mat and a normal tube shaped yoga mat bag. 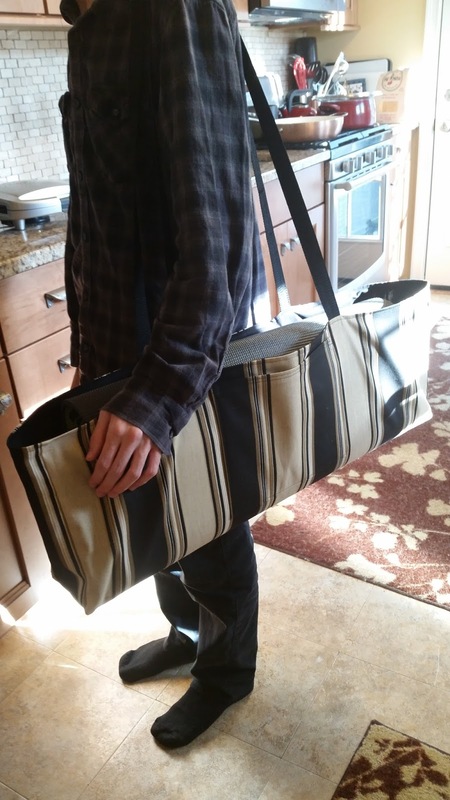 She tells me how he could use a yoga mat bag, but then shows me a picture of his mat - it's a giant, folding mat that is long and rectangular when folded. 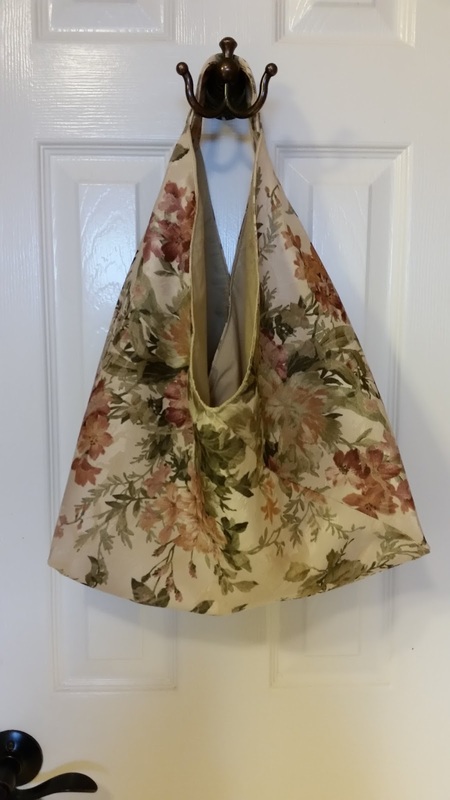 The hobo bags I was immediately happy with and they are currently in my shop - the bento bag pattern still needs work I think, so that got sent to my sister-in-law June to use and test it out for me. And come to think of it, I haven't even started making yoga mat bags at all. I guess that's next. So, this is the moral of the story: Don't start yoga unless you have a lot of fabric on hand. A good couple years ago now, I started an Etsy shop. I was very hesitant to say the least. I had no idea how to do any of it and all of it seemed to stress me out. How to do shipping, where to get shipping supplies from, where to get sewing supplies from, was my stuff even good enough? What if I did all that work and no one purchased anything? I was hoping after all the set up was done, and I had a handful of things to list in the shop, that I would get a few sales. I still remember my first sale – it was really kind of exciting. 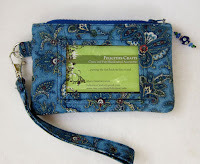 I sold a blue ID pouch to a woman in Virginia. I was thrilled! This was it! My first sale. And that is all I ever expected really – to make some sales and to feel good about making things and having people like them. What I didn’t expect was the community. I can’t even tell you (even though I am writing this and trying to do just that), how happy it has made me to interact with other sellers and customers. My conversations with customers are often very uplifting. Whenever I get a sale, I always contact the customer and let them know I’ve seen that they have purchased something and let them know when it will be out in the mail to them. Often I don’t get a response to these messages. But there are many times I do. Sometimes it’s just a quick “thank you”, but other times, customers tell me a bit about why they liked what they ordered, or who it is for, etc. So for a brief moment, I am allowed to be part of an event in someone’s life. It sounds like I’m reaching there but I’m really not. A man recently forgot to get a birthday gift for someone, and he wanted to order something but was worried about the time it would take to reach him if he did. I happened to be online when that message came through and I assured him if he ordered it, I would stop what I was doing and package it up immediately. So from the time he messaged me, to the time it went out in the mail to him was maybe a total of 10 minutes. So, for a short time, that man and I were a team aiming to get a birthday gift to someone. Where else but Etsy can something like that happen? One of my ventures a while back was learning to sew bow-ties. I put a lot of effort into it! Designing it, getting the right texture and feel, learning how to size them, and then how to package them. I made about eight of them and all eight sat in the shop for months. They did nothing. If an item could do less than nothing, that's what my bow-ties did. That was kind of bit discouraging. I had so much faith in them! Then, just recently, one sold. When I saw the sale I was completely happy. One of my “Put too much effort into it” bow-ties had sold. When I messaged the customer and let them know it would be out in the next day’s mail, she responded and let me know it was for a special person who she hoped would end up being more than a friend. I loved that this person was willing to share that with me. I was elated that someone purchased a bow-tie, and the person who bought it was hoping for a boyfriend. For some reason I really like that. Bowties - They are cool, and hopefully inspire love! The people I’ve met through etsy have been amazing. 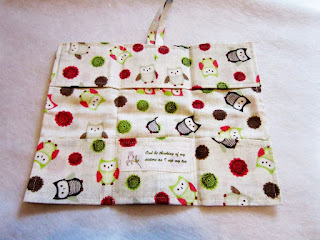 Other sellers, like Danette Bartelmay of Front Porch Knits, have been such of source of inspiration and encouragement. I see what they can accomplish, how much they put into their shops and how much they enjoy what they do, and it inspires me to keep going. It makes me want to do more and do better. So, if you are reading this, and you are thinking of starting up an Etsy shop, and it seems overwhelming or you are on the fence about whether or not it would be worth it, I would say it most definitely is. I’ve gotten so much more than just sales. I’m part of an encouraging and inspiring community that I plan to part of for a very long time. When I started my shop, I was always looking for ways to make something different. When I decided to start painting cosmetic bags and lavender sachets, I hoped that other people would find them interesting. I love painting flowers and birds, but I wasn't sure that it would "go over" well. It was such an honor to be included among so many talented people! ...but I've been busy! I love to explore new things and I got on a bow tie kick. I did a ton of research on how to make them: what material to use and what kind of interlining to give them a good full look without being too thick and cumbersome around the neck. Finding the hooks/closures for them took a bit of time and coming up with a good, flexible design that could accommodate multiple neck sizes also took a little doing, but I finally came up with a good do-able design. All in all, I'm happy with the look, and now I'm on the hunt for good bowtie fabric wherever I go. I've found some and added a few sets to the shop. My next tutorial will be for those pocket squares - there is an easy way to get those corners andnice tightly matched up. I added a new tutorial today - this one is on how to make personalized labels. When I first started my shop, I had a hard time with labels. I tried a ton of different methods, and finally stumbled upon this technique. After a quite a few disasters and a lot of fine tuning , I am able to print out labels now rather easily. I've made these into my shop labels, but also personalized them for weddings (I made a couple sets of bridesmaids bags and had labels with the bride and groom's names and wedding date on them), a set of tea wallets for sisters with a saying on them, and for items in collaboration with a photographer. 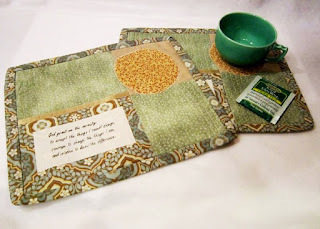 Owl Tea Wallets - "Owl be thinking of my sisters as I sip my tea"
Personalized Tea Mats: "God grant me the serenity...."
Fabric Painting Tips and Working out the Kinks! I finally got around to adding a tutorial on fabric painting! Once I got the idea to paint on fabric and turn these mini-paintings into accessories I just had to figure out how to do it. I tried a bunch of different things. I mostly had trouble with getting the paint and brush to move easily across the fabric. Once that got worked out, I was able to get much better results. If you are looking for some tips on how to paint on fabric, I hope the demonstration I posted under "Tutorials" helps! And as far as the "kinks" go.....I've been getting told that people are having trouble joining this website using the "Join this site" button. I haven't been able yet to figure out what is wrong with that gadget yet - but I 've found - and have been told - that you can follow me by clicking on the little purple squares next to the "join this site" button. You are then asked to log in to your google account, and then you are prompted to "follow" me. That seems to be working for now anyway! Well, back to sewing. 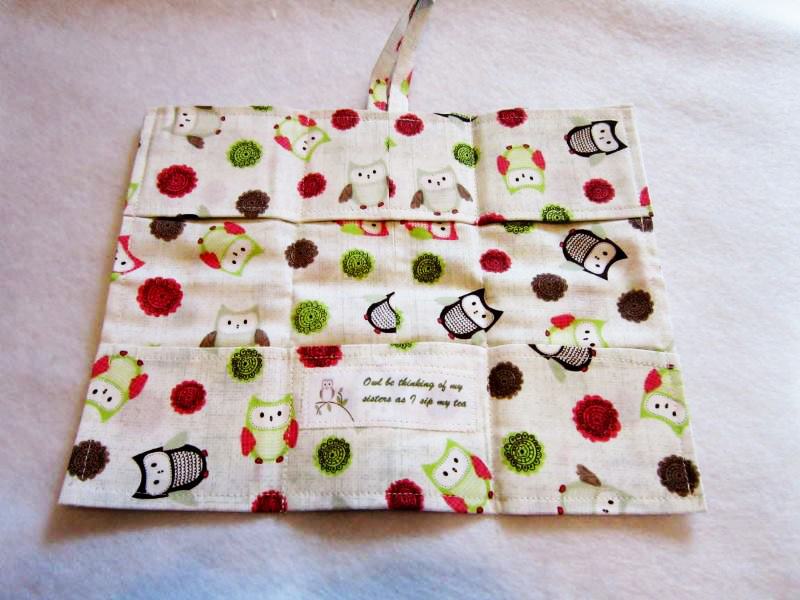 I have some cat fabric that is just purr-fect for cosmetic bags! A good few months ago now (more than I thought when I went and actually checked how many!) a very nice lady messaged me and let me know she mentioned me and my shop on her website. She had purchased a tea wallet from me and wanted to share it with her readers. It made me very happy that she was so pleased with it. But once I visited her site, I was bitten by the "need to do this" bug. She had a wonderful place to go for years - sharing her thoughts and her projects. I wanted to be able to do that too. When I first started my shop, I was constantly looking for ways to do things better. I would spend forever online pouring through websites looking for ways to do everything to achieve a more professional look. I don't have the best sewing machine (in all fairness, it's a great sewing machine, it has just been used to death), so I need all sorts of tricks to get things accomplished. So that's what I want to share here - all the things I have learned along the way. I figure there must be someone else out there who needs to be a perfectionist, but just doesn't have the time! So I set about setting it up - and honestly I should have a website on how to start a website. It took me forever! Okay - slight exaggeration. However it did take months. Actual months. But it's done and here it is. It's in the beginning stages, but I'll keep adding things and refining things as I go along. If you've stopped and read this - thank you! There is a spot on the right hand side there to join this page. And please leave any comments or suggestions you may have! And thank you Danette for inspiring me to take this on! 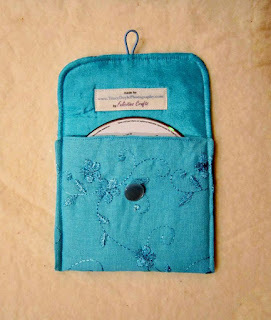 You can visit Danette here: Danette's Website and here: Danette's Shop. Danette makes beautiful knit and crocheted items and shares beautiful thoughts on family and life and her website.